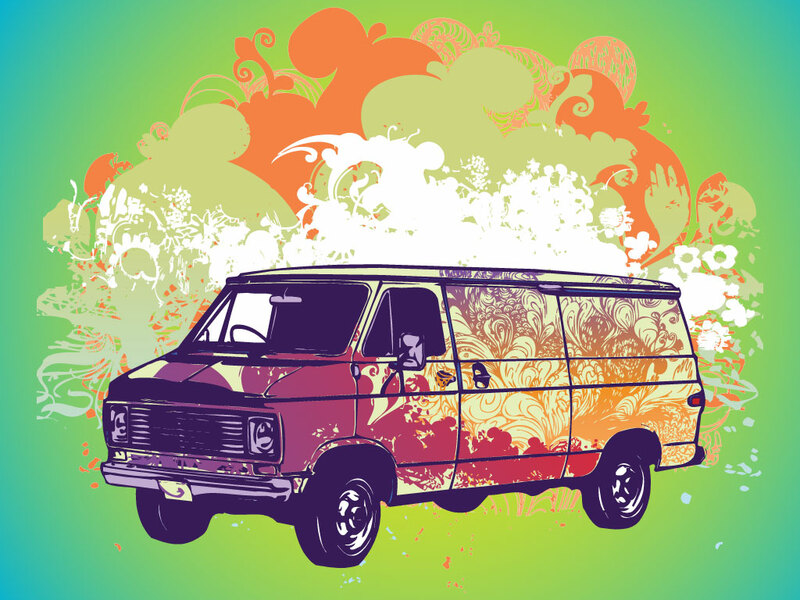 This vintage van vector is the center of a psychedelic hippie illustration. Colorful swirls and cloud like shapes that are reminiscent of the hippie art of the sixties and seventies round out this cool design. Tags: Auto, Car, Colorful, Hippie, Hippy, Peace, Psychedelic, Seventies, Sixties, Van.